Discussion in 'iPhone and iPad Games' started by qwiboo, May 20, 2015. Want to feel like King? 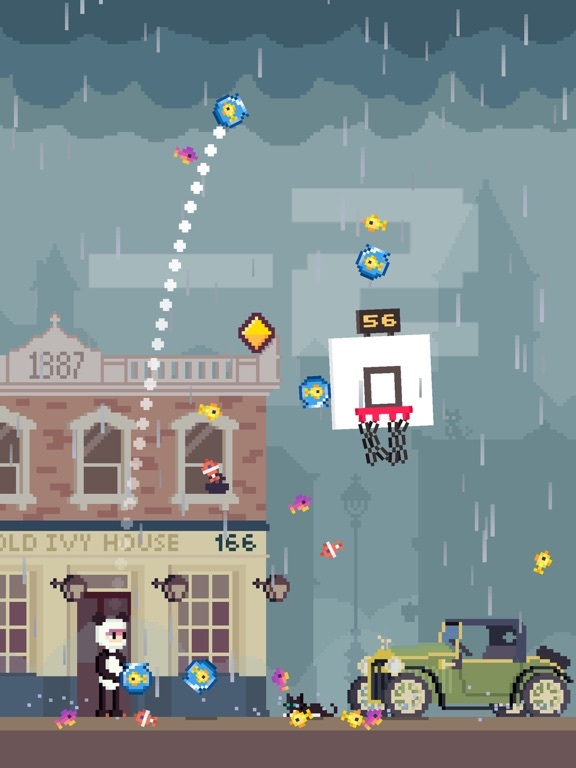 Throw ducks, frogs or even old radios through the basket and crush your friends score! Join 3 million players and compete in two exciting game modes and unlock new environments to play in and new objects to throw! No pop-up advertisements or timers stopping you from playing, just pure fun! Enjoy the game! You makes me some fun games man, fyi, codes are all taken. Cant see what iap is or does, anyone enlighten me? You can buy the "balls" instantly at $1 each, or play and unlock them by earning/free gift diamonds, as in that Crossy Frog (or so). The last one, Piggy Bank costs $3 and can't be earned by playing. It gives you more diamonds plus a thousend bonus when bought. I can't see prices on the different courts though. Top-notch physics, sounds and controls and i really feel the ball's impact(s). Amazingly well executed! Edit: each court has its five specific balls. Unlock them and so does the court. If i buy the Piggy, do i earn more diamonds with any ball or only with Piggy? And will the "in-game-ads" that pop up occasionally go away, i hope? Glad to hear you like it! As you pointed out you can't buy the "courts"/environments, you need to unlock 5 specific balls to unlock each. You don't need to play as piggy to get more diamonds, any ball will give you extra. The "in-game ads" slowly die out as you unlock more balls. If you still decide to speed up the unlocking of new balls by watching ads you will get 40 diamonds instead of 20, which is quite the difference. Let me know if you have any other questions guys! I really like this game! 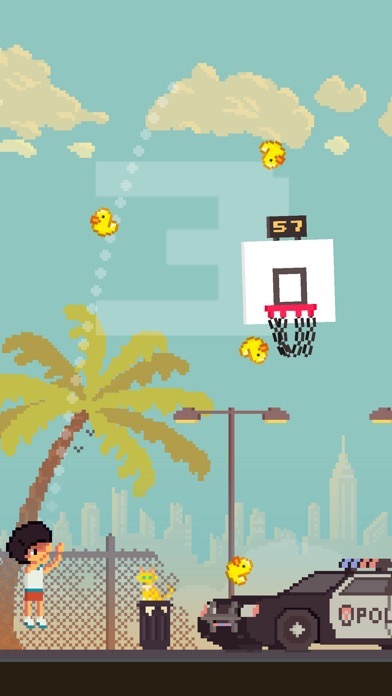 The throwing mechanics + pixel graphics + Crossy road unlocks = one hell of a good combination! I hope you earn good with this so new updates with other cool stuff will come in. I like this game a lot more than I thought I would. Really fun. I'm a sucker for a basketball game and this is done really well. Really enjoyable and addictive. With a crossy road unlock system. Worth a punt for free and I've since got the piggy bank iap. It's really good! A multiplayer mode would probably be waaay too awesome. If you are in a room with 5 people and need to get the highest score or something. I played such a game years ago (probably on Android) and that was godly. Just a suggestion! Agree with everybody, this game is awesome. A quick time killer and high score chaser. I like how the different "balls" effect the background, foreground, or at least have something unique to each of them. The only issue I'm running into is the game crashes when I go to watch a video for 20 creds. 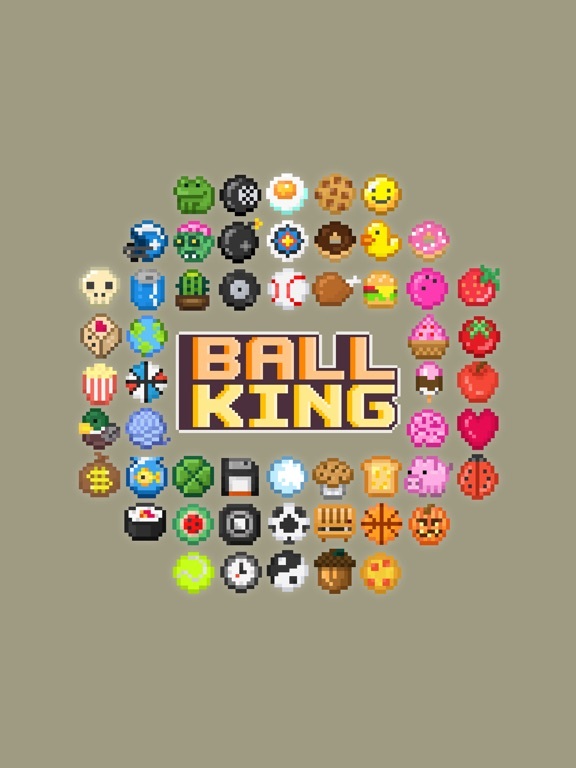 On iPhone 6+ with latest iOS, if that helps..
Had a chance to play Ball King, and well, i have to admit... it is actually a little harder than i thought it would be. 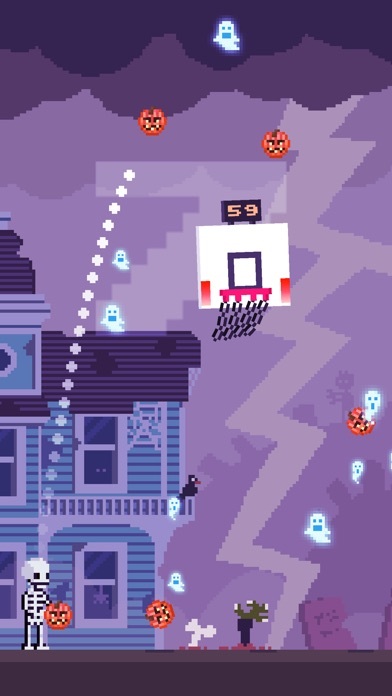 The physics of the ball (bouncing, hitting the rim) is very realistic. 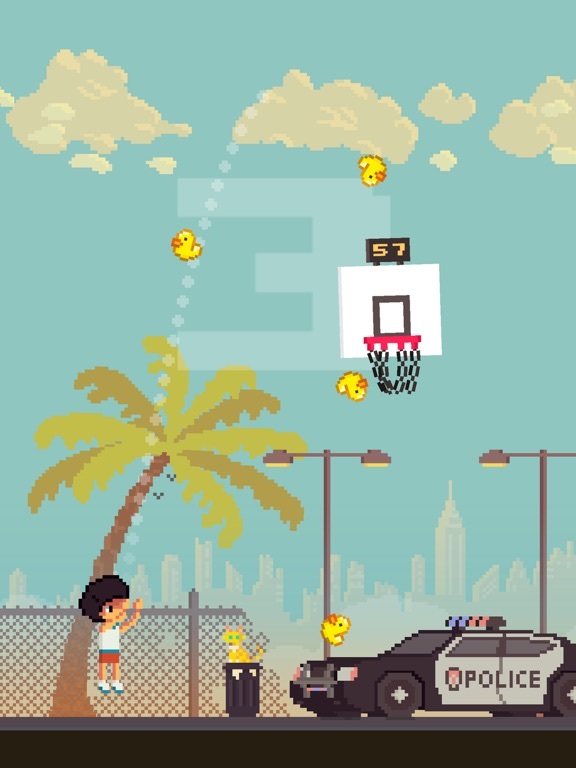 But it's the smaller game details i enjoy, like when the ball hits the cat, and meows, or when the ball hits the car, and moves (maybe in a future update, the sirens or a car horn can go off or something). When i unlocked the skull, and it sprinkles bones all over the place, it's those little details that i like, that make a game more interesting. qwiboo, one thing i did notice, after the ball goes in the net and is dropping down, for whatever reason it freezes for a moment. 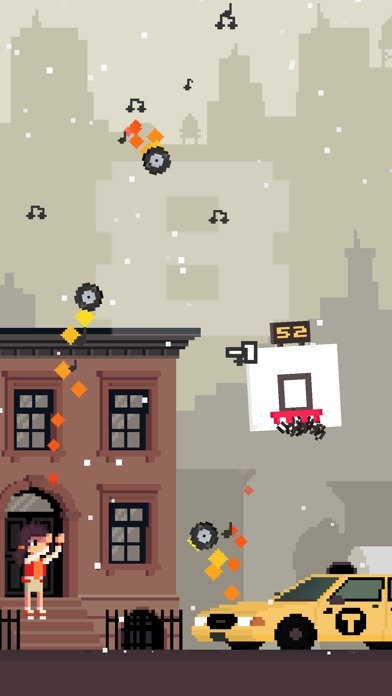 But aside from that little freeze, i definitely enjoy playing Ball King, it's a challenging and additively fun little game. 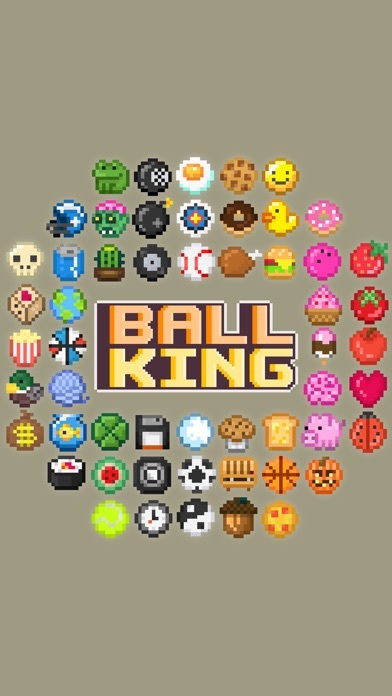 To tell you the truth, aside from High Dive (Free), and now Ball King, i don't have many sports related games. My 2 Cents - Sorry for the double post. 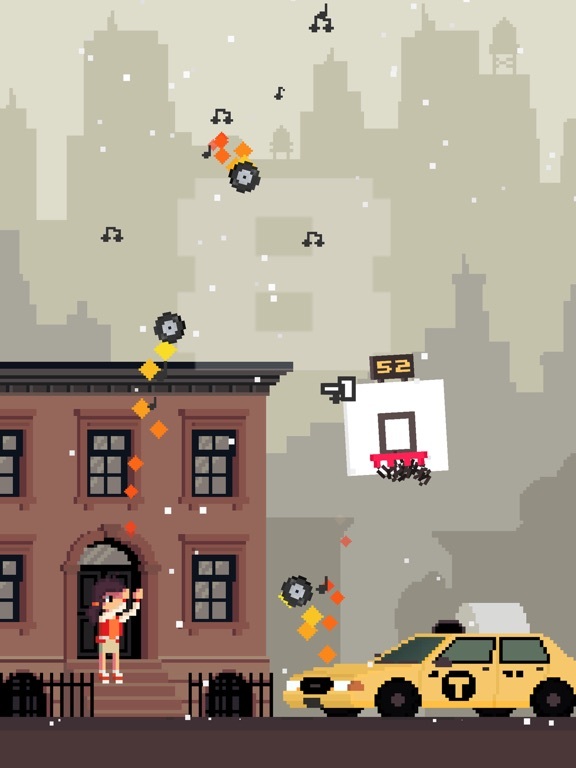 Design, Physics, IAPs, Sound: all solid. 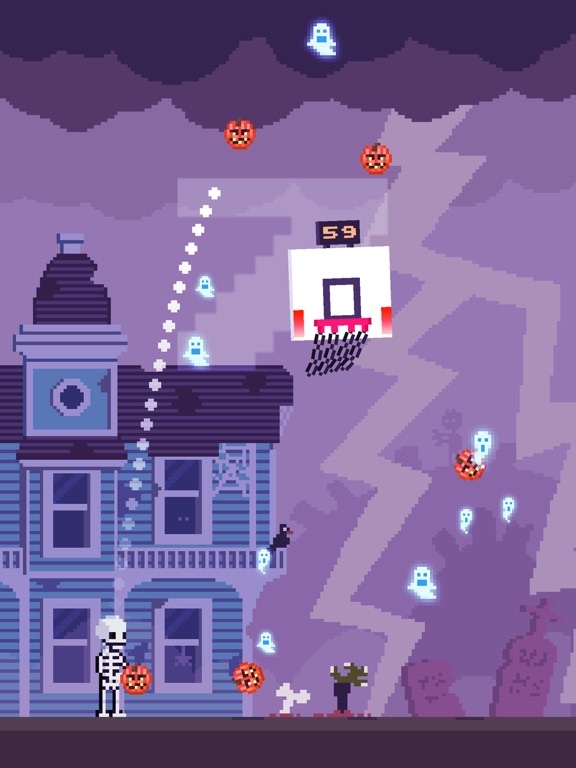 I go for the really high three pointers like the dude in Kuroko no Basket. You can shoot continuously which I really like. 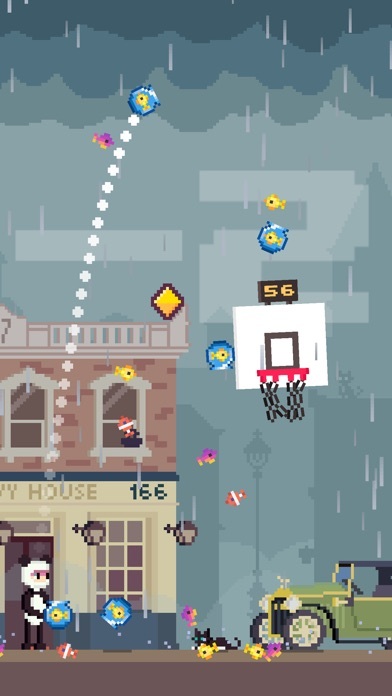 Sometimes I shoot two or three balls and sink several baskets in a row. Very nice surprise. Definitely one of my picks for GOTW, very enjoyable. Physics works great, controls are perfect. Funny thing is I'm not that much motivated to unlock new items compared to Crossy Road (where I just have to get them all no matter what). In this case I appreciate the basket ball the most so far and is my top choice even though I already unlocked like 15 different "balls". What keeps me interested are different environments and since I need specific items no unlock them, I'm still playing, collecting and, as a cherry on top, increasing my scores. I bought a piggy bank. Not that I need it, just to support the dev for such a great work. Btw, I'm not sure how it works on iPhone's smaller screen, but the experience is just flawless on the tablets. Just grab it, it's a lot of fun! Highly recommended little time waster.